This summer, Randall Price who is director of Liberty University’s new Center for Judaic Studies is planning an expedition to Mount Ararat where he hopes to unearth the remains of Noah’s Ark. As the Bible account goes, God is saddened that He has created mankind. He therefore plans to destroy His creation on Earth by means of a great flood. However, finding one righteous man, Noah, God decides to spare him and his family as well as one male and one female from each species of animal that God had created. God commands Noah to build a massive ark and once it is complete, Noah, his family and all the animals selected are shut up in the ark. It proceeds to rain 40 days and 40 nights on the Earth, covering it completely with water and in the process destroying everything living on Earth (except the fish of course). 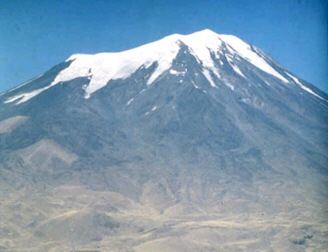 Once the water subsides from land several months later and Noah, family and animals come out of the ark, it is said that the ark had landed on Mount Ararat. For centuries, expeditions have set out to find Noah’s Ark but have been unable to find any concrete evidence, beyond that of an unwavering faith, to support its existence. However, last fall a new tip peaked both his and Price’s interest. A Kurdish shepherd told them that he had seen the ark, and even climbed on top of it, when he was a boy. The team hypothesizes that the ark is preserved in several pieces beneath a glacier on the mountain, and every so often the glacier recedes, exposing part of the vessel. “That’s when he saw it as a boy,” Price said, adding that they had interviewed the shepherd and could find no reason to distrust him. The shepherd asked for nothing in return and even agreed to lead Bright to the site where he said he had seen the ark. Bright first climbed to the site in September. Then a team including Price, the shepherd, a mountaineer and several others made a follow-up ascent to 15,000 feet later the same month. They found the spot, Price said, but it now is covered by an estimated 60-foot-deep pile of boulders. Price believes the landslide may have resulted from attacks against Kurdish rebels on the mountain, or perhaps from explosives that were set off to cover up the ark. But his team has negotiated with government and military authorities and gained access to work at the site starting this spring, Price said. That’s when the team of archaeologists, geologists, explorers and other volunteers plan to start removing boulders. By summertime, they hope to reach the glacier and use ice-melting equipment to access what they believe is preserved beneath. If a structure is found, they plan to take samples to have analyzed and dated.